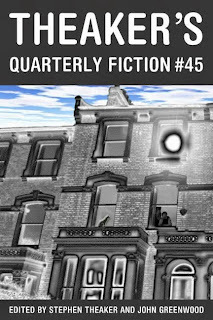 Theaker's Quarterly Fiction: Theaker’s Quarterly Fiction #45: free download, cheap in print! The print version seems to be taking a little while to go live on Amazon.co.uk, but it should be available any day now. The print edition is now available on Amazon.co.uk too. Hurray! That was fast work, thanks. I like the look of your new site; clean and easy to read. Thanks, Chris! I'd been meaning to make the background either white or yellow (like our old site) for a while but didn't have time to fiddle with the Blogger template. I must say I prefer this clean look. Far easier on the eye. Thanks! Would you believe it's just the first template Blogger offers? D.F. Lewis has begun a reading of this issue (or two thirds of it, at least) here. He has also issued a statement regarding his reviews of our publications. 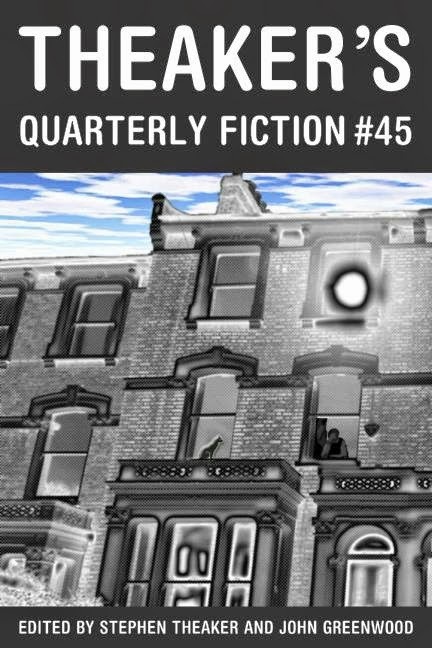 A review of this issue by Sandra Scholes at the BFS.